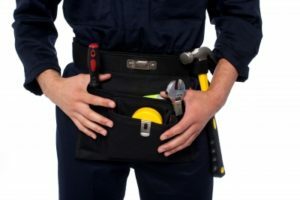 A1 HandyPro General Contractor LLC was founded in 2014, and has been providing quality workmanship to the Property Management, Real Estates companies, Home Warranty Companies, and to the general public in Vancouver and Portland area ever since. We do all sorts of handyman work. We repair walls, ceilings, window screens, doors, decks, fences, we install Shower Doors and Garage Door Openers. We do Power washing and much more. The list below is a partial list of services we offer. Ask about our Smoke Alarm and Filter Service. Click the man with the tool belt.